Place the oats and almond milk in a medium saucepan over high heat and stir to combine. Bring to the boil and reduce the heat to low. Cook, stirring occasionally, for 2–3 minutes or until the oats are cooked through. While the oats are cooking, place the butter in a small frying pan over high heat. Cook for 4 minutes or until foamy and golden brown. Add the honey and swirl to combine. 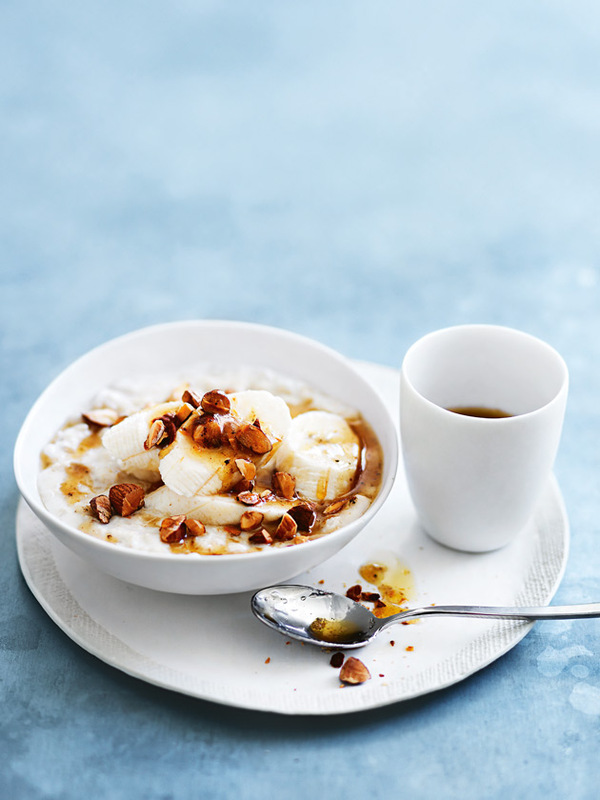 Divide the porridge between bowls and top with the banana, almond and burnt butter honey. Serves 4.